KC Natural exists mostly because digestive health issues forced me to live a healthier life. If I wouldn't have experienced health problems, I have no idea what I would be doing with my life right now. Probably eating a lot of unhealthy foods, especially BBQ - so I consider it a blessing, not a curse. But that was only the beginning, and just part of the story. We always have a great time promoting our sauce at events, such as the Gluten and Allergen Free Expo in Chicago, and the Celiac Association of Kansas City event earlier this year. This fall and winter we hope to promote our new line of sauces at several food shows to get the word out. What I love most about attending these events is that we always meet great people, all with unique health struggles that brought them together. And our new Paleo AIP friendly sauce is inspired by people we've met in the past couple years. At the Chicago expo, we met fellow Kansas Citian, Marissa who created the site Feud With Food to chronicle her 'journey toward wellness via whole foods.' She wanted to say hello even though she couldn't enjoy our BBQ sauce - she can't have nightshades, which includes tomatoes and spices made from peppers. That rules out every BBQ sauce that I know of - until our Mastadon Paleo AIP BBQ sauce rolls off the line next month. I also have another friend named Mitch, who talked to me a lot about the Paleo AIP diet over ribs and recipe experimentation a couple times. The purpose of the Paleo AIP diet is to eliminate foods that "sometimes trigger inflammation in people with autoimmune disease (dairy, eggs, nightshades, nuts and seeds)." For a complete list of foods you can and cannot eat on the Paleo AIP diet, just go here to find an easy overview. The elimination of tomatoes, brown and white sugar, and most typical BBQ spices made our Paleo AIP Mastadon blend by far the hardest recipe to write yet. If you've ever made yourown BBQ sauce, you know how important creating a great spice blend is to your recipe. Having to avoid everything from paprika, cayenne, chili powder, cumin, and other seemingly necessary spices made me realize that I had to seek those qualities from unsuspecting flavors, such as garlic, lemon, and horseradish. 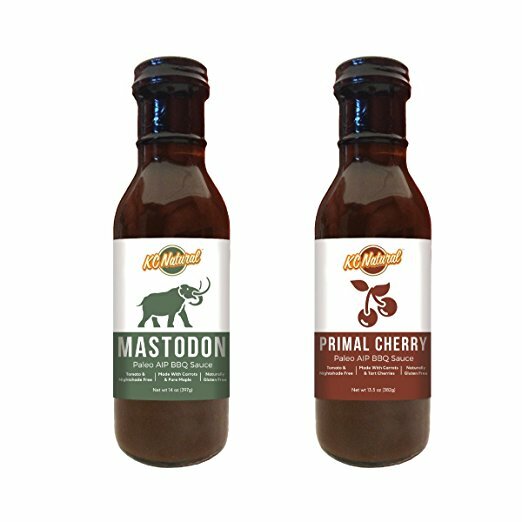 After countless batches of sauce, our "Mastadon" Paleo AIP BBQ sauce was born. It has a complex flavor that meshes a smoky, sweet heaviness followed by a burst of summer (lemon, garlic). We hope to have the sauce available in late August, and I couldn't be more excited. So be sure to follow us on Twitter and Facebook to stay tuned.